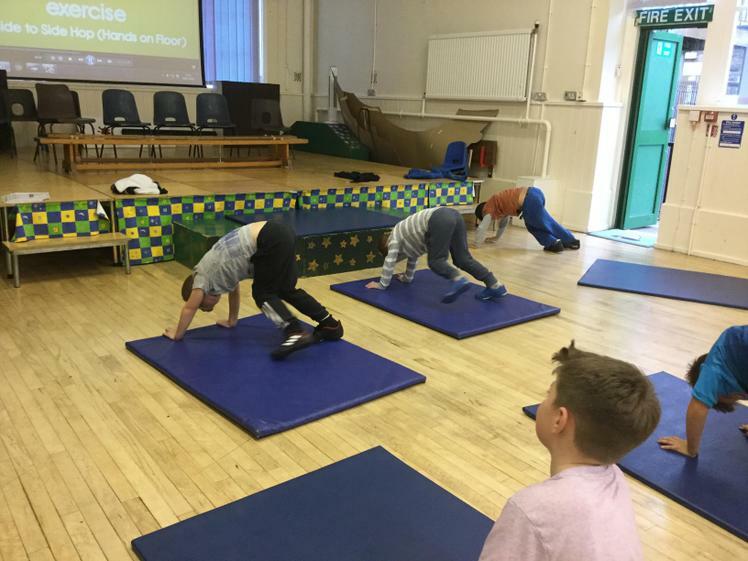 In HIIT they were doing a variety of exercises and learning new moves.Here are a few of them. 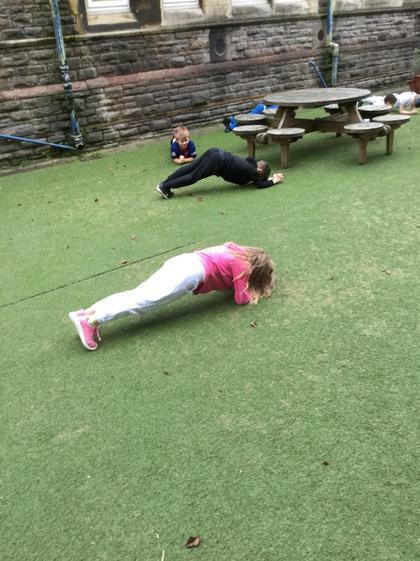 This week in HIIT they were doing different types of exercises in 30 seconds and having breaks in between. 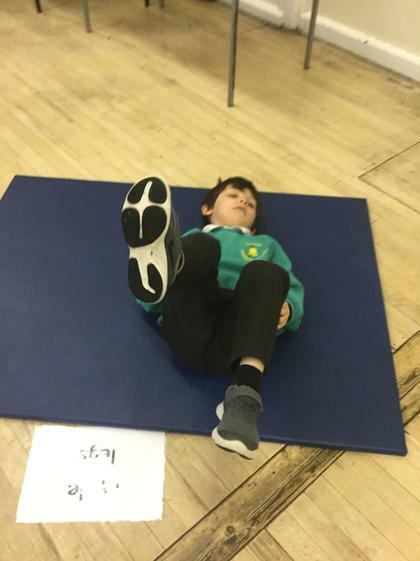 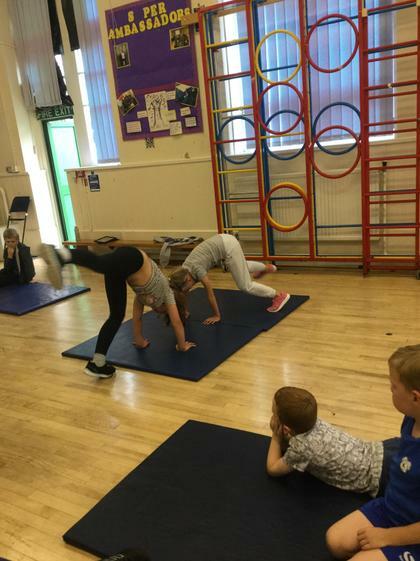 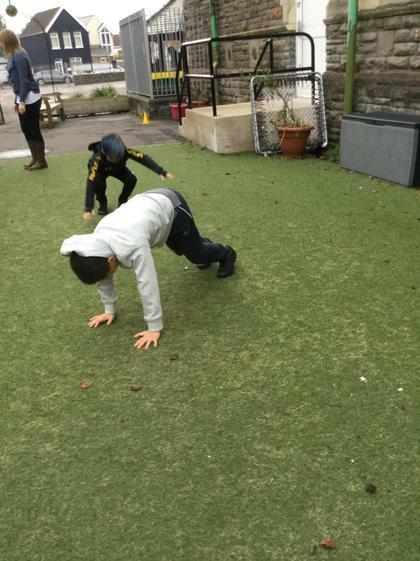 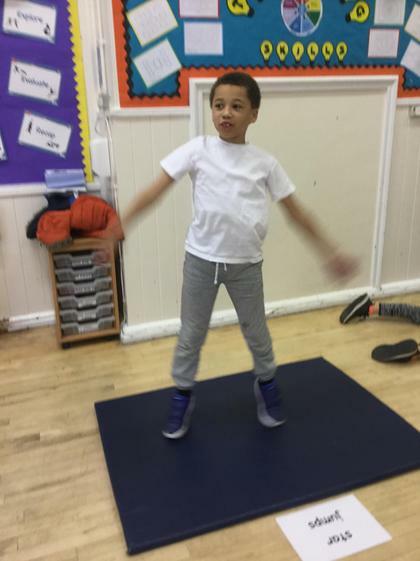 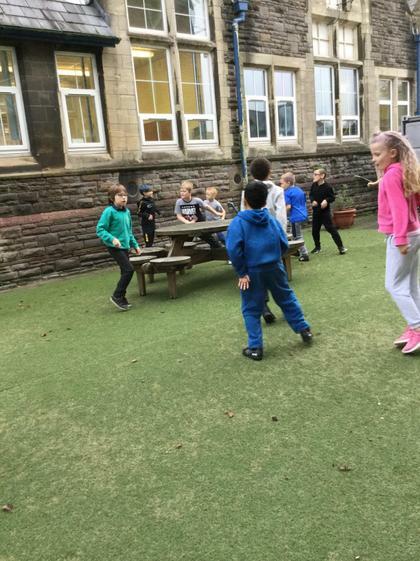 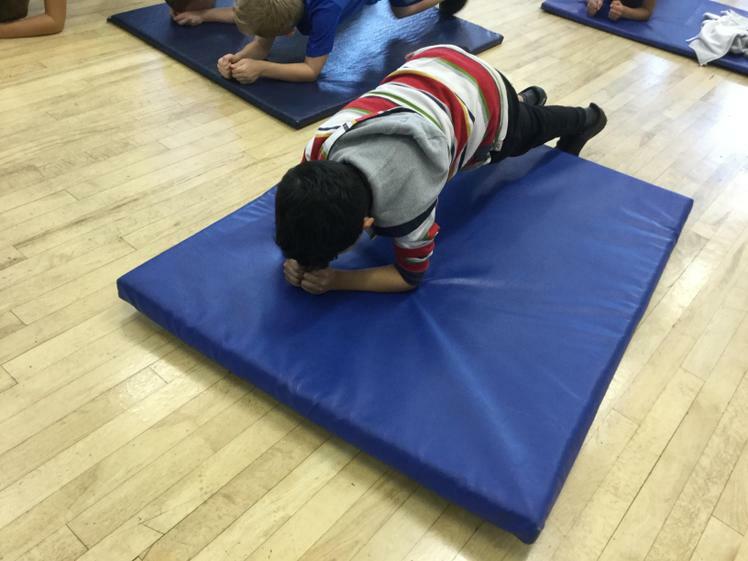 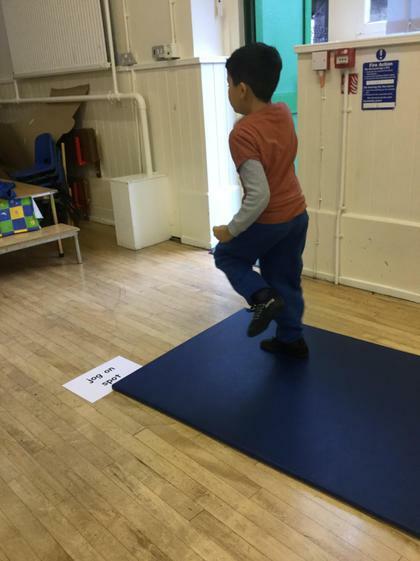 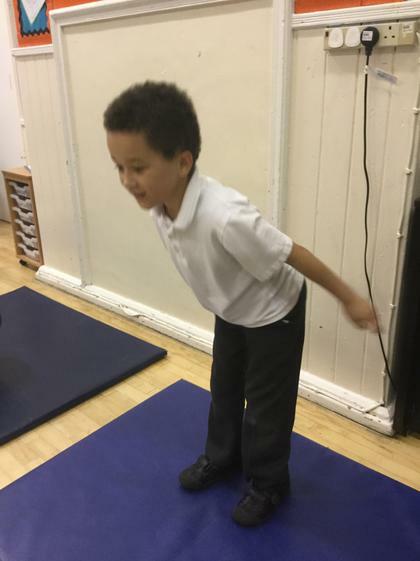 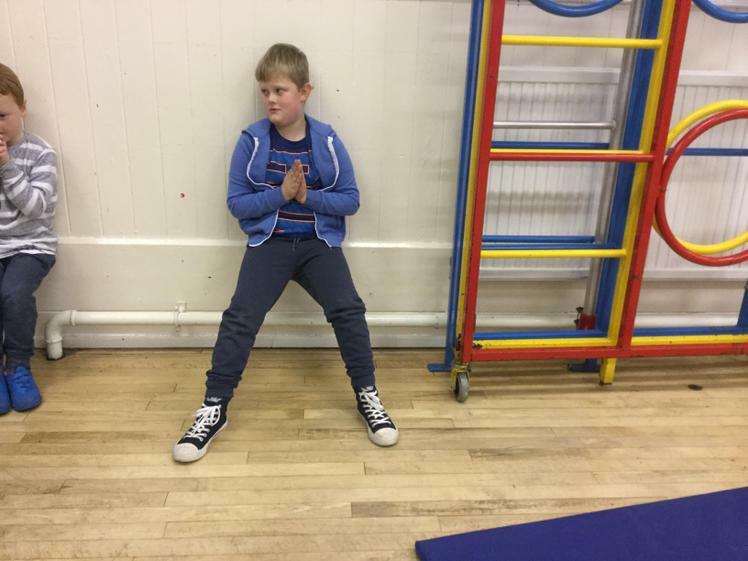 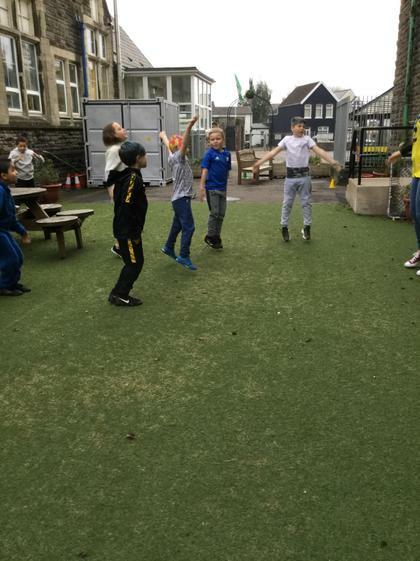 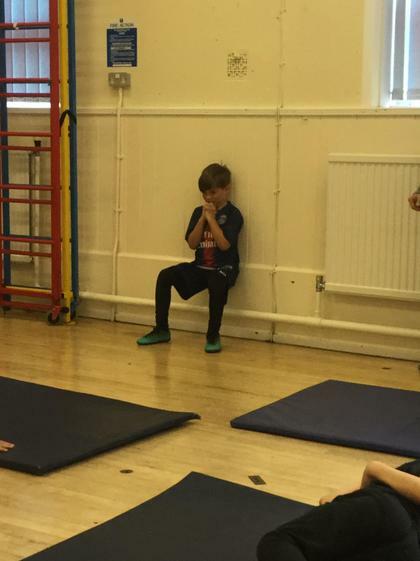 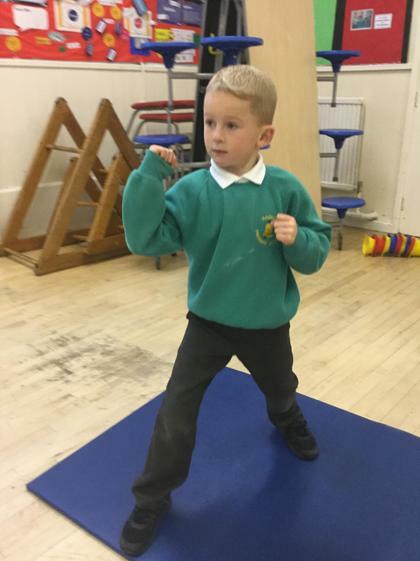 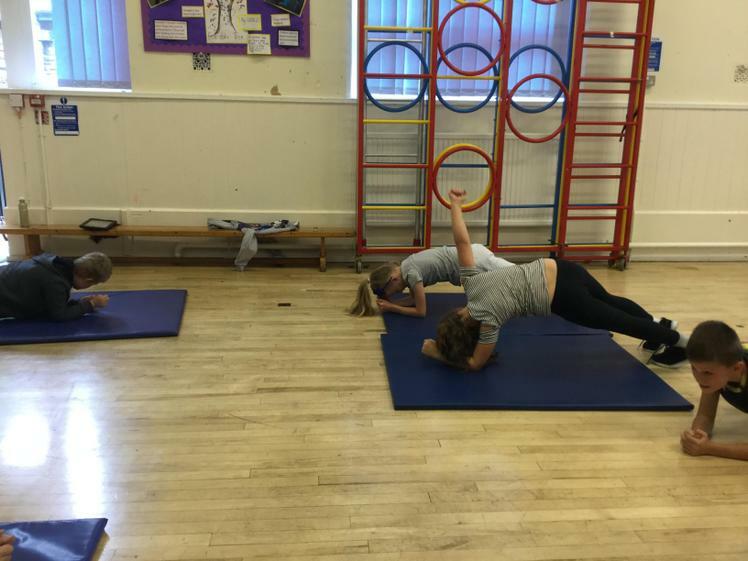 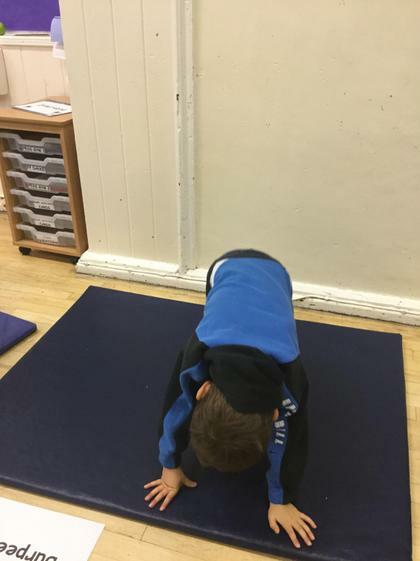 Years one and two were doing some hardwork by learning new exercises and having lots of fun! 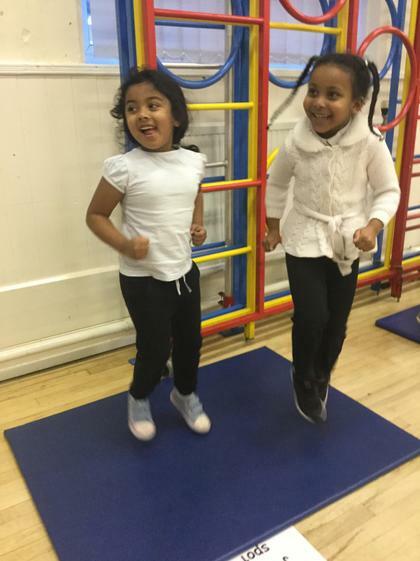 Maliha said " It was very hard ,but it was still fun"
Tammeema said" It was really fun I really enjoyed it"
Well it sounded like loads of fun! 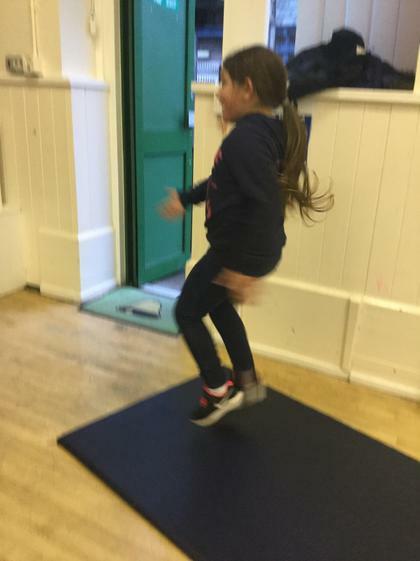 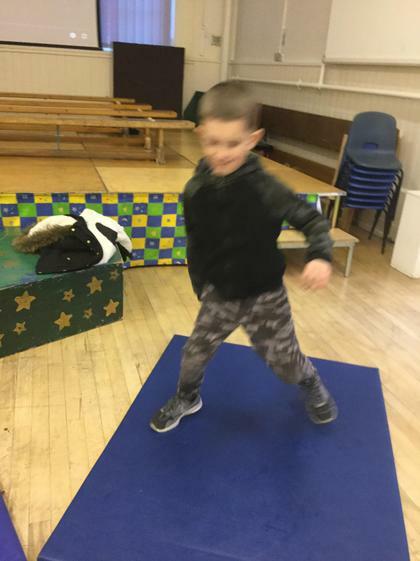 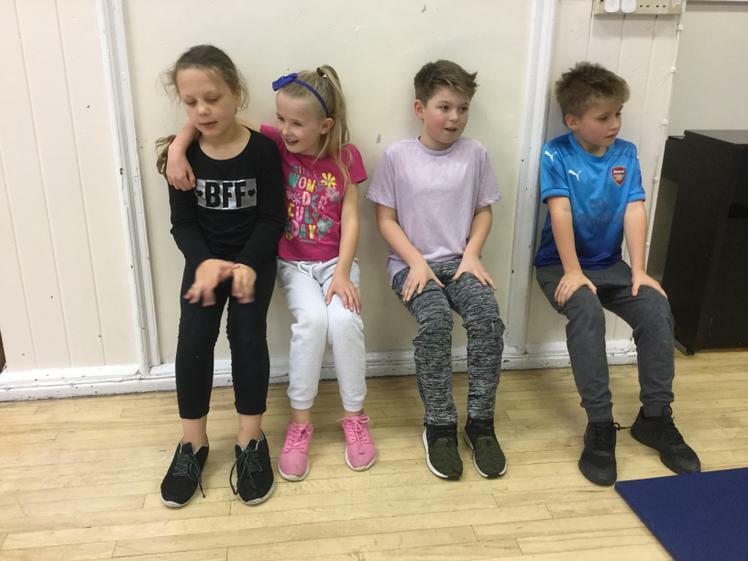 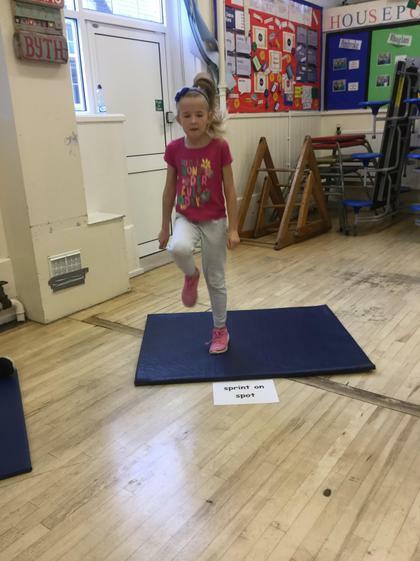 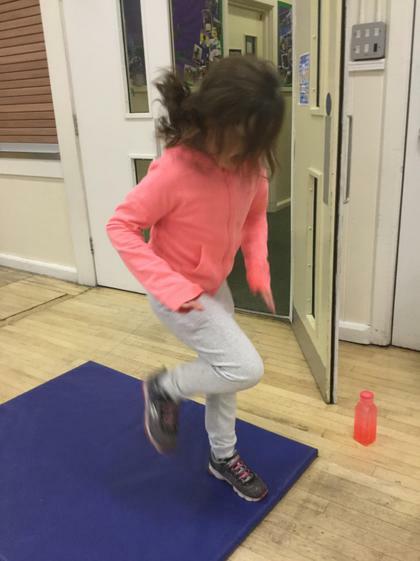 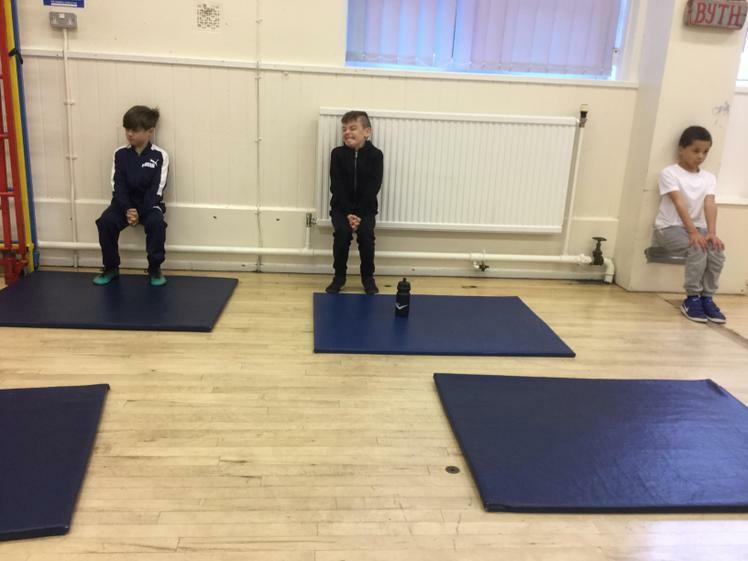 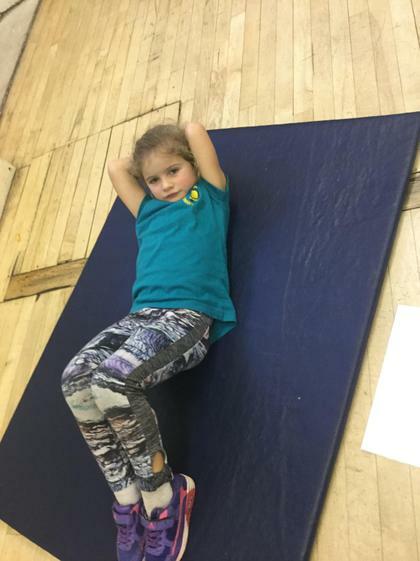 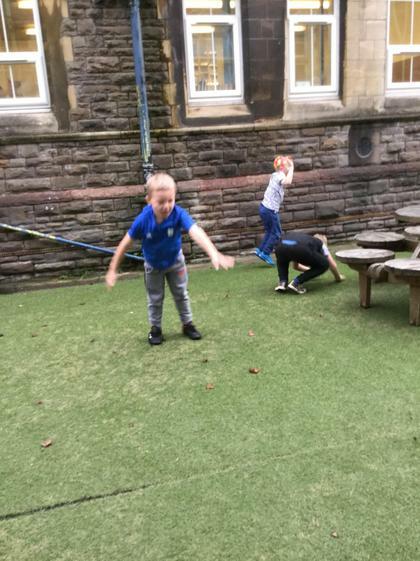 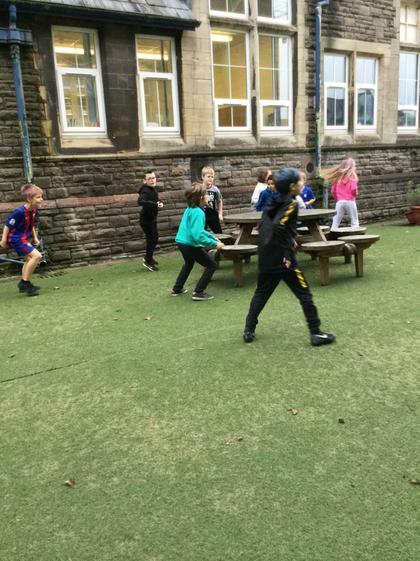 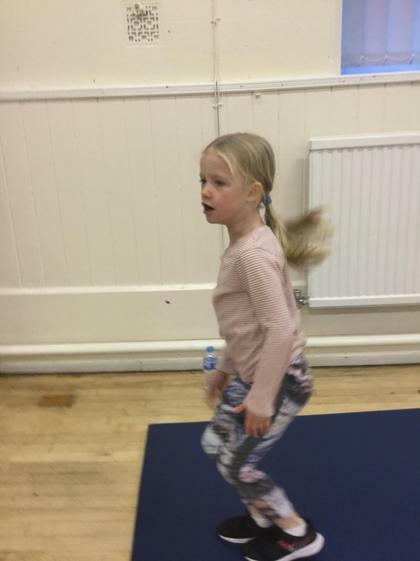 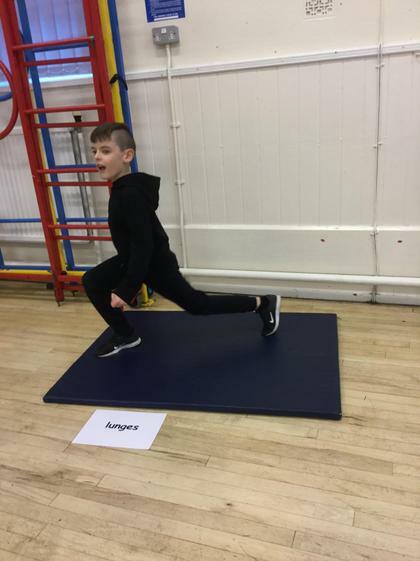 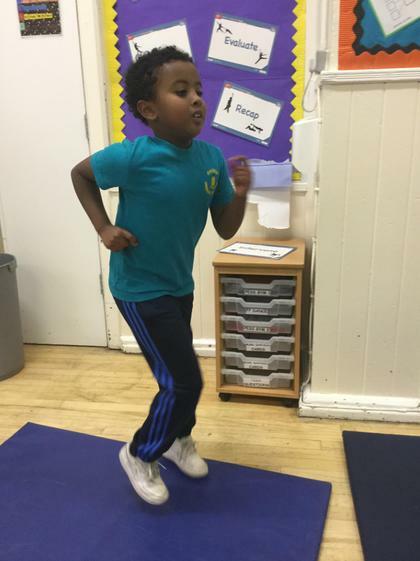 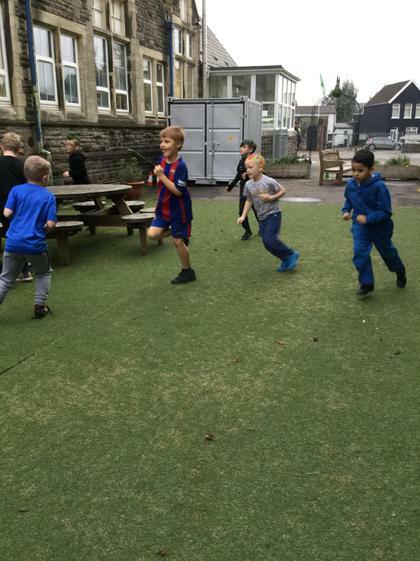 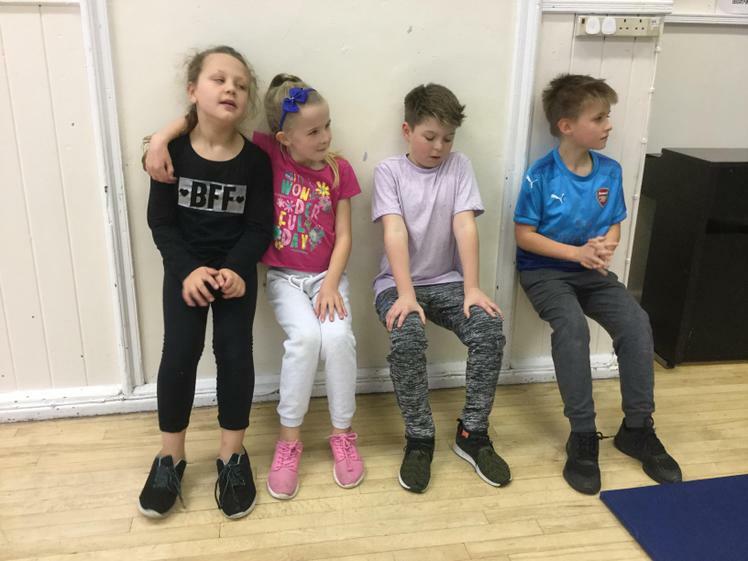 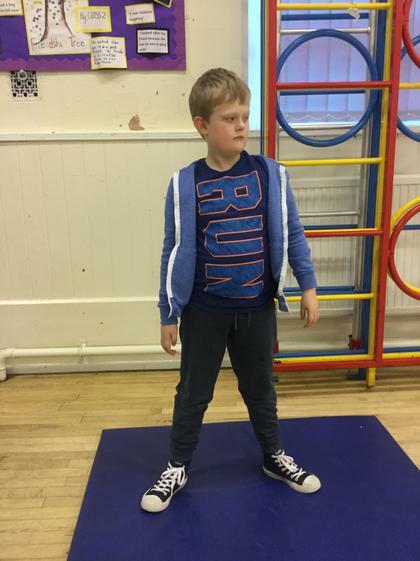 This week in HIIT they were doing about 30 seconds jogging and they got to choose their own exercise for everyone to do. 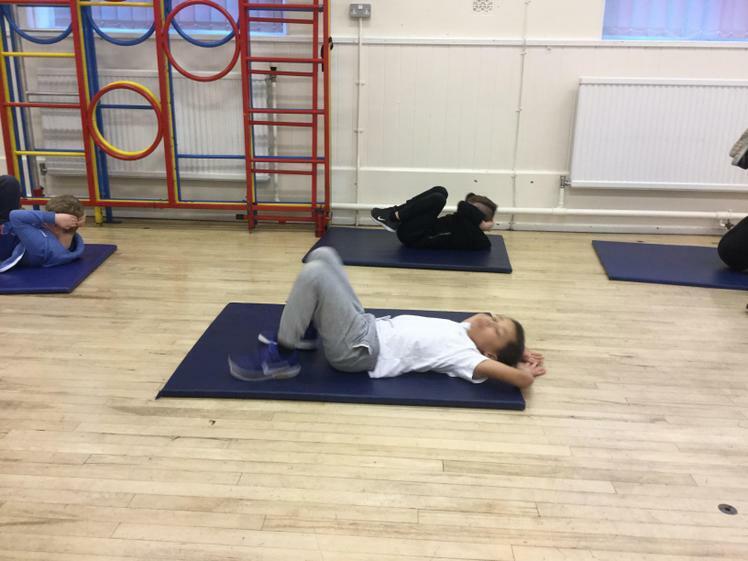 Its the 4th week of Radnor university and in HIIT they started off by doing a quick warm up of 40 sec exercise and 10 sec of rest. 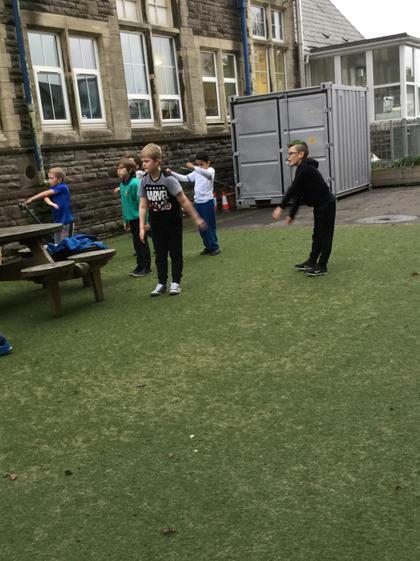 After that, they had different stations and each person would have 1 minute on each of the stations. 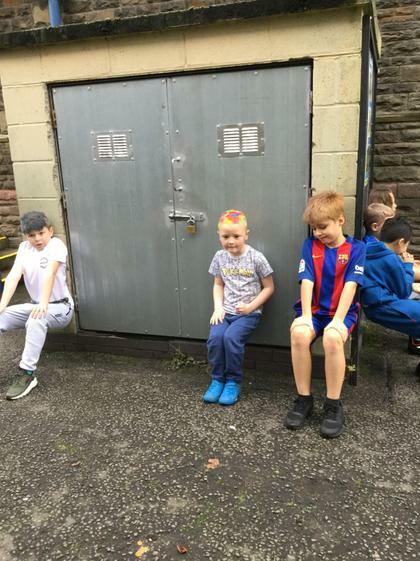 After the one 1 minute was up they would all move up to the next station and they would keep on doing that until they came back to the station they started with. 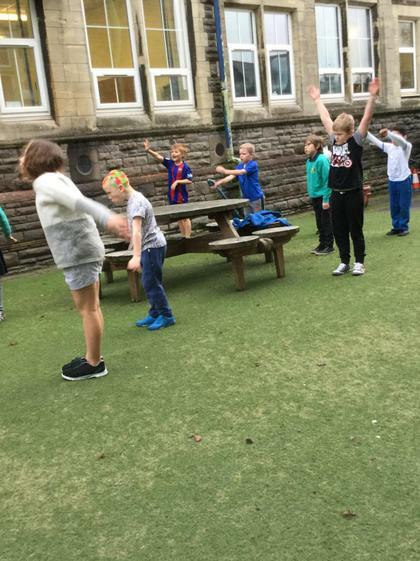 In week 5 in HIIT, they started outside doing some exercise like high knees and jogging. 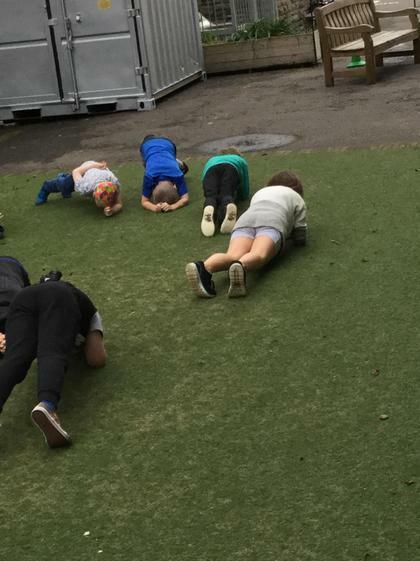 Then the teacher chose a person to pick a exercise for everyone to do . 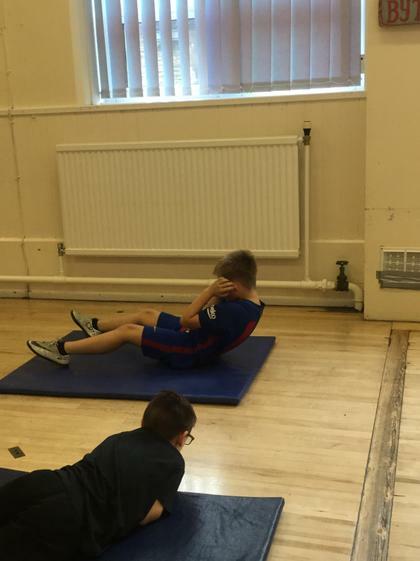 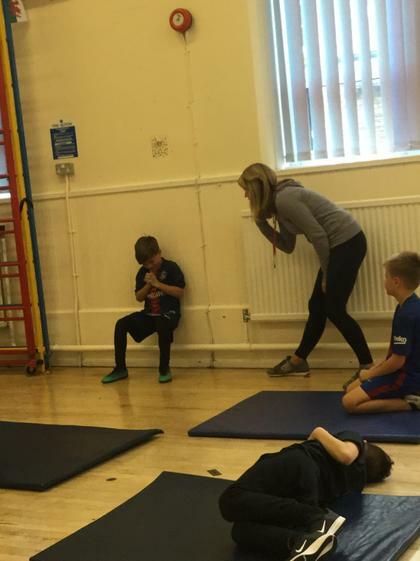 It's session 2 of week 5, and the year 1&2 are working very hard doing a variety of exercises . 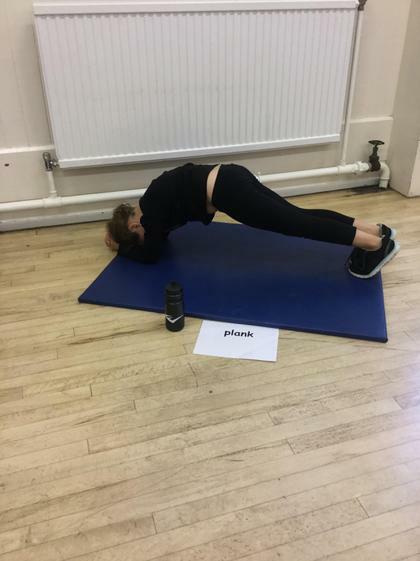 It's the last week of Radnor university and HIIT started the lesson by doing exercises on each station and had 1 minute rest and 1 minute exercise, they moved a station when they had their 1 minute break .So by the end everyone's been on each station.